Your entry is your home’s first impression. As you know, you only have one chance to make a first impression. Great walls are a must… use a wonderful wallpaper, a saturated paint color or consider a decorative paint finish. Your entry floor can be a place to have fun too. If you have hardwood you can add a border, or you can splurge on a spectacular rug, or tile the space with specialty tile. Every entry needs seating of some type, a bench, a chair or a Settee. You must have a mirror in this space as well! Your guests and family alike will appreciate this touch. Storage of some sort will help you use your space to its fullest. Your entry needs to be well-lit, either lamps, overhead lighting or sconces. Your foyer is also a great place to display art or a collection. 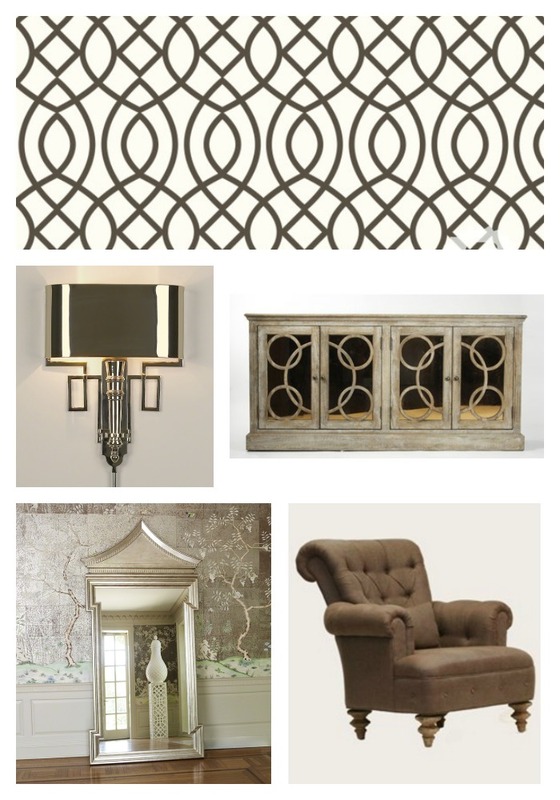 Here is my mood board for a chic city condo foyer. Your mudroom, entry hall or foyer sets the mood and style for your home…do not forget to make it fabulous! What is your next project? Are you dreaming of a new bedroom or bathroom? My next post will be the idea board for a Master bathroom in a wonderful old Maine home.